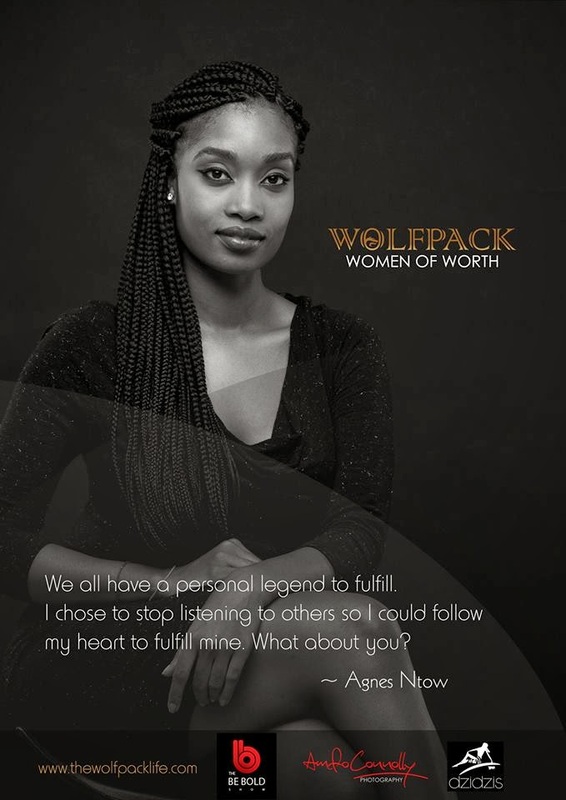 WWOW is a unique campaign to applaud, promote and celebrate young pioneering Ghanaian women for the passionate work and contributions they have made to inspire the younger generation of women. This campaign aims to enhance the aspirations and pride of young African women by giving them role models they can easily relate to. Five young, outstanding Ghanaian ladies with careers ranging from broadcasting through to fashion and the sciences have been selected as ambassadors. This initiative was put together by WolfPack,a youth empowerment organisation,with a dynamic membership consisting of professional young men and women around the world. Their objective is to make considerable positive influences in the sectors that each member represents. It’s hard to excel at something you don't love, but find your passion and you'll succeed naturally. Christal Beeko is proof of this. A former popular news anchor on Etv Prime Time News and currently an executive producer and host of the Be Bold Show, this young lady has made it her goal to become a media powerhouse and she's definitely on track. She is socially conscious and her mission through The BE BOLD Show is to contribute to the development of the African continent by focusing on its youth. Aside from inspiring many Africans to return to Africa, the BE BOLD Show engages in several social responsibility events such as the circle railway clean up on Global Hand Washing day, a sickle cell awareness campaign and the most current KBG scholarship fund where students were given the opportunity to compete through essay writing for a one year senior high school scholarship. Aisha Obuobi now dresses up the likes of Alicia Keys & Michelle Williams on and off the runway with her award winning label/brand Christie Brown. 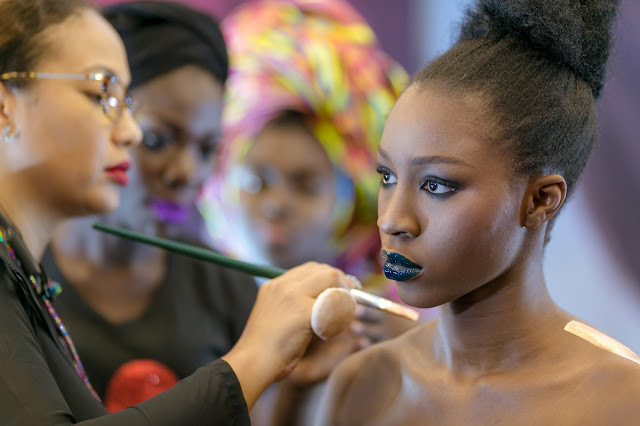 lost sight of her goals and her hard work has undoubtedly put Ghana on the fashion map. recognized and applauded her work. Her brand (Christie Brown) also has a self titled feature on CNN's Inside Africa. "What started out as a love for talking and performing as a child led her to pursuing her passion ad turn it to a successful career she loves. Ama K. Abebrese is an Award winning Actress, TV Presenter and TV Producer, with a wealth of experience in Film, Television and Media. As a renowned TV presenter, she has interviewed international celebrities such as Harrison Ford, Neyo, Ziggy Marley, Akon, Rihanna, Quentin Tarantino, Idris Elba and Star Wars director George Lucas. She began her career in the UK where she hosted for BBC2 on the youth Television Show, 'Pass the Mic' and YCTV's 'Cinemania'; later she worked for OBE TV and produced and hosted the successful 'One Touch' and 'On the Sofa' TV shows. She relocated back to her country of birth, Ghana in 2009 where her career continues to rise and is considered among Ghana's most influential celebrities. 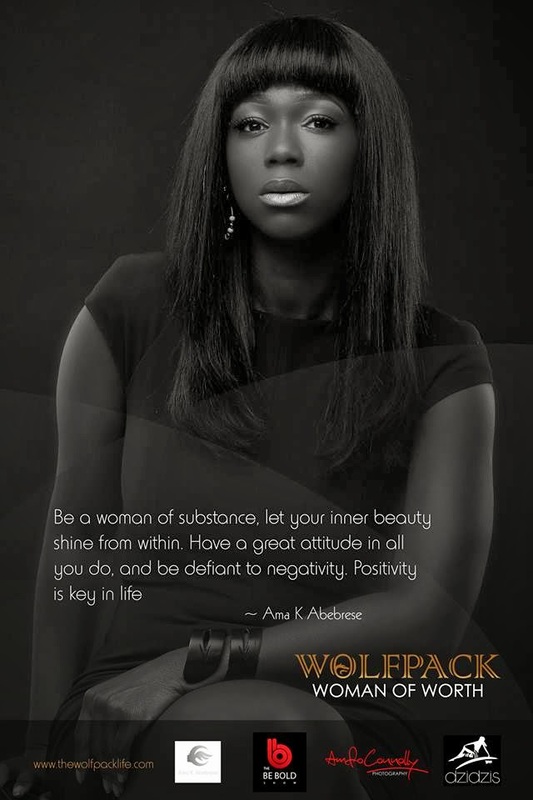 She made the list of ETV's 100 Most Influential Ghanaian Personalities in 2011 and 2012 respectively." "Patricia is dedicated to providing opportunities for young rural women who have ability, determination and character, but often lack the resources to step out and step up. 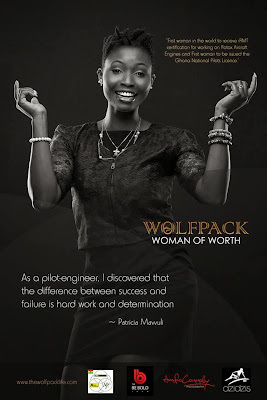 Patricia makes it clear that she has had to work hard, very hard, to get to where she is - and she has not stopped - she has plans to fly one of the planes she has built to Germany! Patricia started with nothing but her own dreams and ambitions. 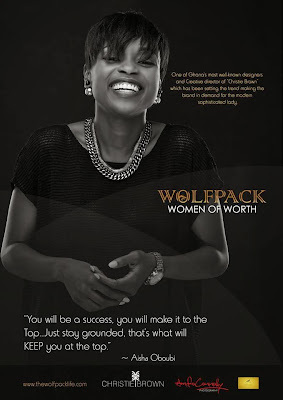 With no money to invest, she invested her hard work, sweat, tears and perseverance. That self-investment has paid off. 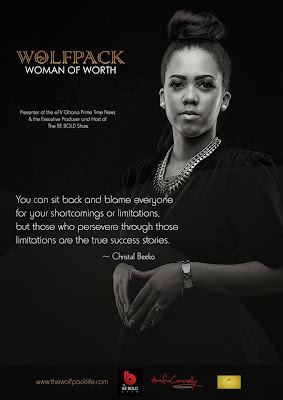 As she says 'I have discovered that the difference between success and failure is hard work and determination' - and she should know - for she has broken the mold and set a trail in the sky for other young women to follow towards their individual successes." With this mindset this young lady left everything she knew behind and came back to Ghana. And she eventually made the bold move back home. With much fewer job prospects and very little work experience she was still determined to build the life that she wanted for herself right here in Ghana. All she knew was she had a passion for media and was an excellent orator. Agnes is a strong advocate against the brain drain that is robbing our nation of its gifted people. "Why are we helping them maintain their perfect structures when our own home is not even built yet? 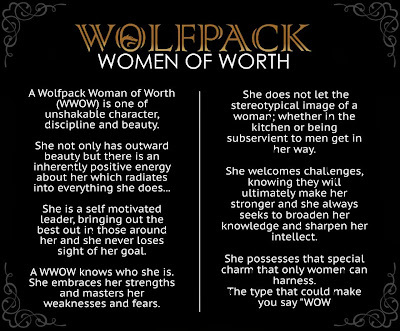 Visit http://www.thewolfpacklife.com/ for their full stories and for further information about Wolf Pack.